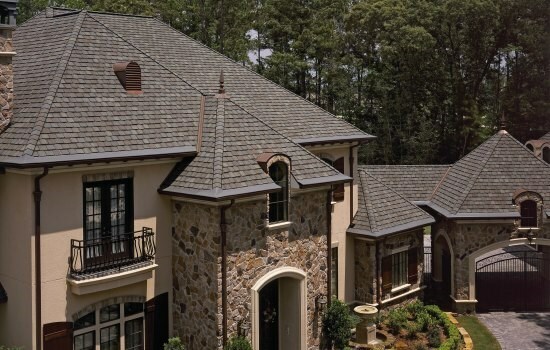 This luxurious multi-layered laminated shingle replicates the look of slate with the confidence backed by a lifetime warranty. CertainTeed has developed Grand Manor to endure wind , rain and weather of every sort to always look its best, even on the steepest slopes. Deep shadows and random tabs are the secrets behind the design genius in Grand Manor. The result is a shingle with the incredibly authentic depth and dimension of slate.